PlayStation Plus Games for April 2018 | Nerd Much? While Microsoft is over here announcing some great titles for their April Games with Gold lineup, PlayStation is cool with just keeping it mediocre. But PlayStation Plus does have some solid PlayStation 4 titles coming our way in April. 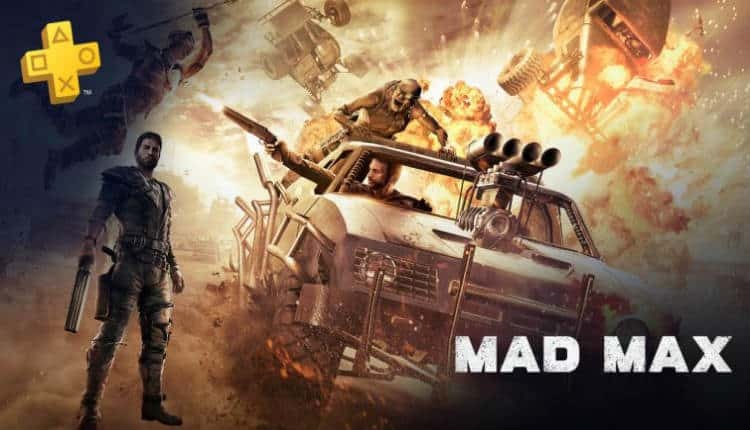 Mad Max is the headlining game coming our way next month. While revered by many, overall it saw generally mixed reviews. The PlayStation 4 edition of the game holds a Metascore of 69. The game sees the titular character adventuring through a post-apocalyptic open-world. As Max, you’re attempting to track down your stolen Interceptor taken by a deadly gang of marauders. There’s satisfying car combat, and melee segments akin to the Batman Arkham series. It’s a free download this month so it’s worth at least a download to see if it clicks for you. Joining Mad Max on the PlayStation 4 is Trackmania Turbo. While under the radar for most, those that have given it a whirl typically return with the realization that the game can be ridiculously fun. It features split-screen multiplayer for up to 4 people if you’re having a couch party, and it has a multitude of different game modes. It did quite well on reviews too, sitting around the “generally favorable” mark. Outside of the PlayStation 4 titles is a bunch of “meh” hitting the PlayStation 3 and PlayStation Vita. In Space We Brawl is a local multiplayer twin stick shooter. It mustered only a 54 on Metacritic. Toy Home is also coming to PlayStation 3. It fared better than In Space We Brawl with a 57 Metascore. It’s a toy car racing game in which areas of your house itself become the game’s tracks. However, at only eight tracks in total, it doesn’t offer a ton of options. For Vita, PlayStation Plus is sending 99Vitas your way. It’s looks like and is inspired by classic 16-bit side-scrolling beat ’em ups such as Double Dragon and Streets of Rage. And finally, Q*bert Rebooted is coming to Vita. But also PlayStation 3 and PlayStation 4 via Cross Buy. The game was originally designed as a title for Steam, iOS and Android. It was later ported to the Vita. If you’re a Q*bert fan, this one should be right up your alley. The PlayStation 4 titles are solid this month, but little effort looks like it’s going into the other consoles in Sony’s portfolio. We’ll have to wait until May’s lineup is revealed next month before we know if the trend continues.